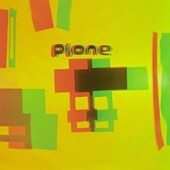 At the intersection where dreamy pop landscapes and electronica beats meet you will find Plone, a group of three from Birmingham who are self-described "synthesizer songwriters, creating timeless melodies for electronic soundtracks." On their latest, For Beginner Piano the three dig deep into another realm to create mysterious soundtracks for every aspect of life. "On My Bus" is the sounds in your head you'll feel whenever you walk into a situation that is either potentially dangerous or potentially rewarding, like a job interview, a new relationship, or down a dark alley. "Plock" is a sunny, tropical electronica number. One that wouldn't be out of place in a happy dream about you getting the girl you've always wanted, obtaining your most prized goal, or accomplishing something you never thought you could. "Busy Working" is your stress song, one you can play to calm yourself down when the whole world seems to be knocking at your door, demanding something you can't possibly give them. And then there is "Press A Key," the whirly daydream number that is all about sitting about and relaxing too while you're trying to sneak in that valuable nap before your next appointment. Weird, subtle, and fascinating, Plone develop songs that can be used for almost anything in your life. Some might call them the background soundtrack to your daily routines. It's a very different, yet refreshing album sure to find countless hours in your player. I'll give it an A-.